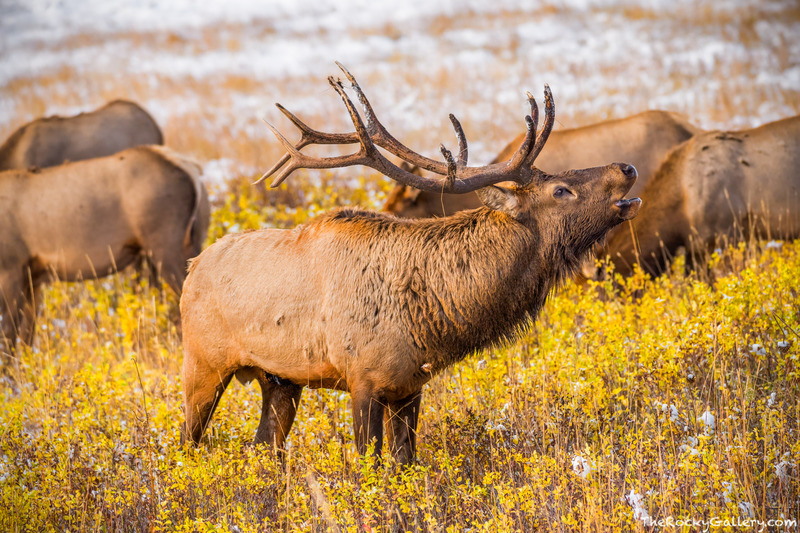 When photographing wildlife in Rocky Mountain National Park, it's hard to find a more iconic scene than a large bull elk bugling in a meadow over his harem. This cool October morning in Moraine Park found fresh snow from the night before combined with fall color making for a perfect fall scene in Rocky. Photo © copyright by Thomas Mangan.